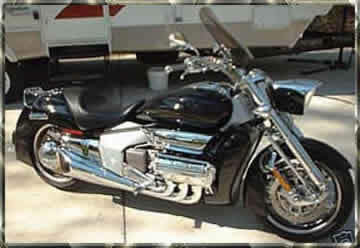 Facts about shipping a Motorcycle and Equipment used to ship Motorcycles. being damaged or lost they can't find it or being put on the wrong truck by accident and being shipped to the opposite side of the USA. I have heard those stories many times. 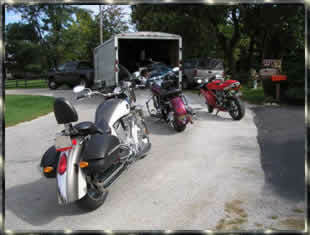 ID Transport picks up and delivers most Motorcycles on the same run. 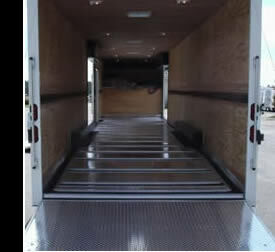 We also have custom side ramp doors designed by ID Transport on all of our enclosed trailers, designed just for motorcycle transport. 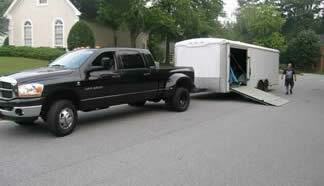 This allows us to load and unload your motorcycle from all points of our trailers during transport. Being able to do this, means that when we ship your motorcycle, we don't always have to move your motorcycle around to load and unload another bike. it will not be relocated several times just to get another motorcycle in or out. This greatly reduces the chance of your bike getting damaged. 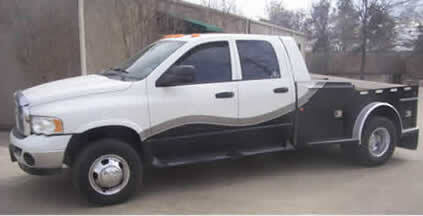 We also don't use fork lifts, pallet jacks or any heavy machinary to Load or unload your Motorcycle for transport. Imagine that. Your expensive chopper being lifted up off the ground high into the air by a big piece of machinery. 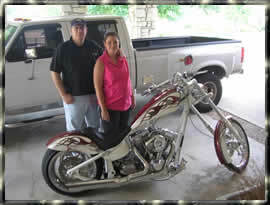 We don't make you drain the fluids before we ship your motorcycle. We don't make you crate your Motorcycle before we ship it . When we deliver your motorcycle and unload it off our trailer. It will be ready to ride! 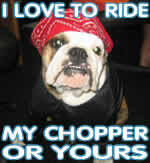 Unless of course it's project bike or a fixer upper. 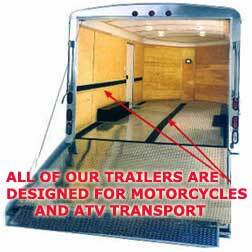 Our Trailers are designed just to Ship Motorcycles and Atvs . As you can see in the pictures below. 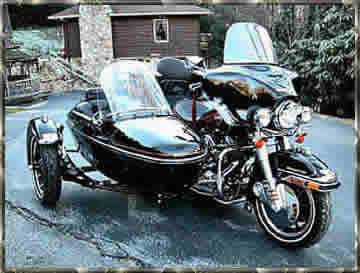 ID Transport - Home Page Motorcycle Shipping. It's all we do ! !